Going to San Diego Comic-Con? I will be at the Image Comics booth with my fellow Skybound creators signing a brand new limited edition poster featuring all 6 of Robert Kirkman’s current titles drawn by the respective artists (Walking Dead, Invincible, Super-Dinosaur, Thief of Thieves, Witch Doctor and my series, Guarding the Globe)! I’ve seen a jpeg and it looks fantastic! We are also all on a SKYBOUND panel on Sat 3-4pm. Do not miss that one! NEW! I will be signing at the Marvel booth on THURS. from 11am-12pm. 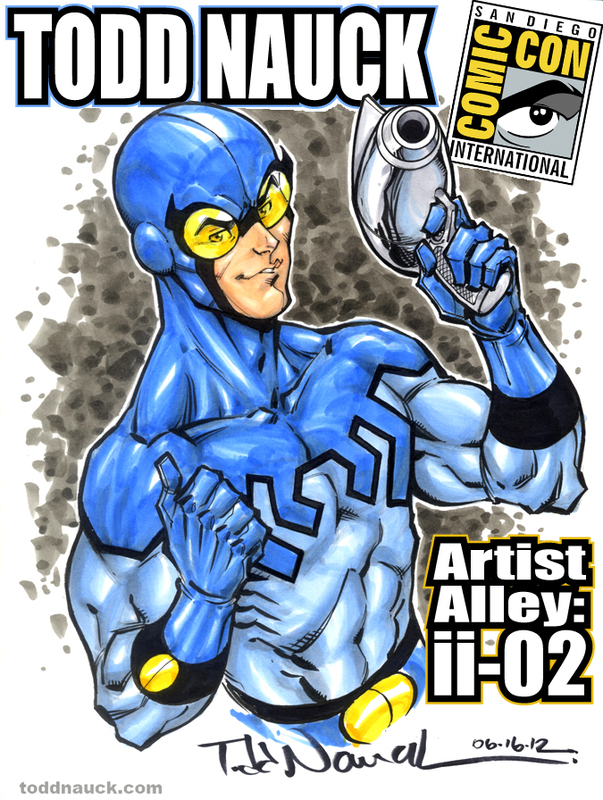 I will spend much of my time at at Artist Alley table II-02 drawing my convention style commission sketches. NOTE: I prefer not to take a request list or do commissions for people to come back and pick up later. I draw them made-to-order while you wait, hang out and chat. A line can form pretty quick. So it’s good to hit my table early! I’ll also have original comic art, prints, and Volume 1 sketchbooks for sale. See you in less than 2 weeks! Free Comic Book Day is this Saturday! 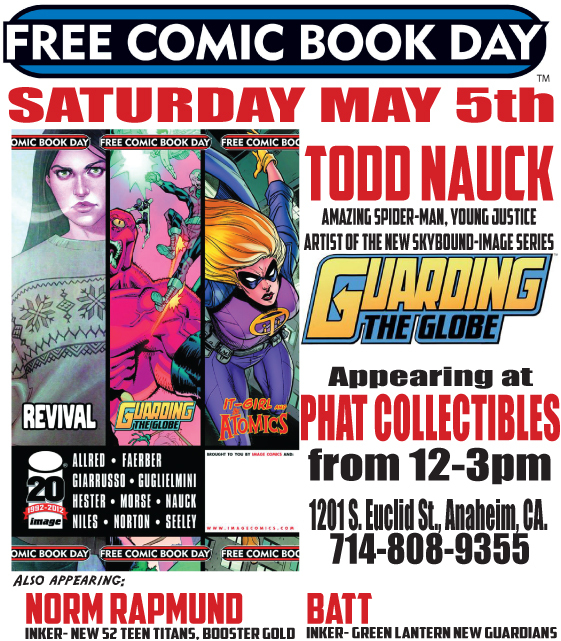 I’ll be at Phat Collectibles in Anaheim,CA from 12pm-3pm. I will be drawing commission sketches and have my sketchbook & prints for sale. 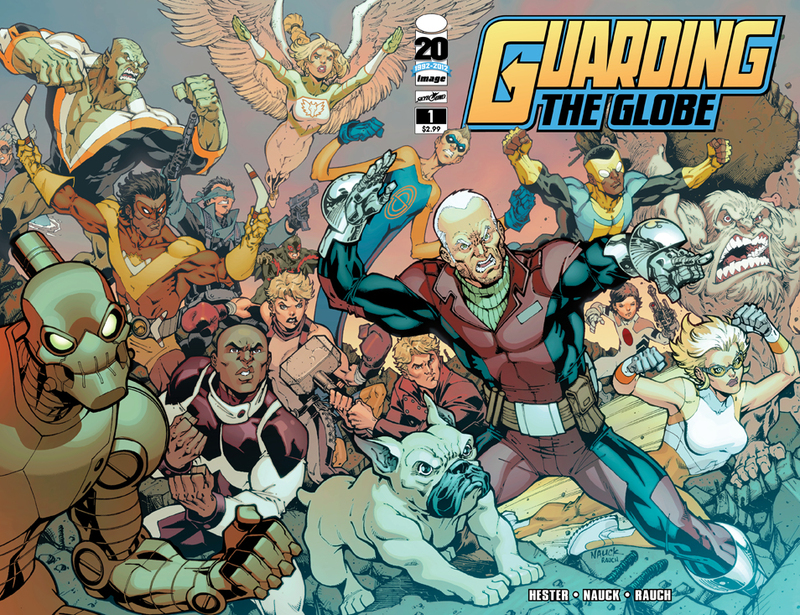 Be sure to pick up the Image Comics 20th Anniversary free comic with a all new preview of the new “Guarding the Globe” series I am drawing for Skybound! Click HERE for a sneak peek. I’m penciling & inking Robert Kirkman’s new Guarding the Globe monthly series w/ writer, Phil Hester & John Rauch on colors for Skybound/Image. This series has been a blast to draw since page 1 of issue #1. Look for it’s debut this September! 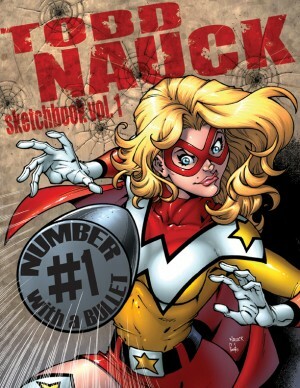 Art of Todd Nauck on Facebook The Official Todd Nauck Facebook Fan Page. 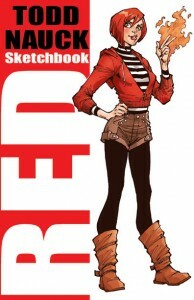 DeviantArt Art posts by Todd Nauck. 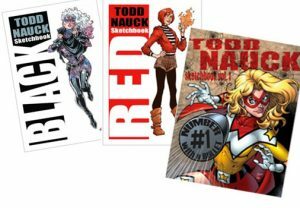 Twitter Follow Todd Nauck on Twitter. WildGuard on Facebook The Official WildGuard FanPage! 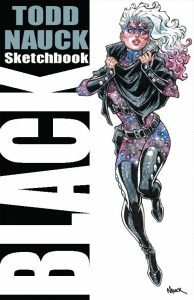 Sketchbook: BLACK now available for sale in U.S.